His sympathies towards the Taliban have been evident on several occasions in his 21-year-old political career. In June 2002, he addressed a workers’ convention in Pakistan, stating that he was inspired by the Taliban system of justice and that he would establish a similar system in the country after assuming power. In 2012, after the Taliban shot 14-year-old activist Malala Yousafzai in the head, Khan refused to condemn them by name. later, in 2013, he stirred up a controversy when he described a top Taliban leader, Waliur-Rehman, as “pro-peace”. During a 2014 Pakistani Government effort, to build a national consensus on a statement declaring the Taliban an enemy of Pakistan and Islam, Khan called the group “our brothers” and “our people”. He is an advocate of state funding of madarsas run by the Taliban. He also supports the allowance of Taliban to open offices in the various cities in Pakistan. His photograph, dressed as a Mujahid and sitting with Taliban cadre, is popular among the youth of Pakistan. In 2012, when Khan pulled out of the India Today conclave on account of it being attended by Salman Rushdie, he was severely criticised by the latter who compared him to libyan dictator Muammar Qaddafi. “Here he is trying to placate mullah and placate the Army while presenting himself as an acceptable face of Pakistan,” said Rushdie. Imran Khan, of course, denied all allegations of being backed by the military. Yet, regardless of what he says, the Army’s influence in this year’s elections has been the main cause of his rise and fulfilment of his prime ministerial ambition. Gen Asif Ghafoor, the Army’s spokesperson tweeted: “You honour who you will and you humble who you will”, a verse from the Quran that is taken as confirmation of the military’s support for Khan. Thus, real power in deciding Pakistan’s relationships with India, Afghanistan and the US will continue to stay in the hands of the generals in Pakistan. Imran Khan’s love for Islam and Sharia’h law is well documented in his memoir. In his memoir, Pakistan: A personal history, Khan wrote that the biggest damage done to the Indian subcontinent was the loss of self-esteem that resulted from colonisation. “The inferiority complex that is ingrained in a conquered nation results in its imitation of some of the worst aspects of the conquerors, while at the same time neglecting its own great traditions,” said Imran Khan. A free Pakistan, he believes, has to be rooted in the traditions of Islam. Right at the beginning of his memoir, Khan made it clear what his idea of an ideal Pakistani state should look like and what it had become. “Far from being the Islamic welfare state that was envisaged, Pakistan is a country where politics is a game of loot and plunder and any challenger to the status quo — even with my kind of public profile and popularity — can be suddenly arrested and threatened with violence,” wrote Khan in his book. In his victory speech, he began with a promise of converting Pakistan into an Islamic welfare state, though he fell short in elucidating from where he is going to garner funds for giving concrete shape to his ambition when an economic disaster is already glaring before the nation. Khan’s belief in the Sharia’h law to govern a state is noteworthy. He quotes complete absence of petty crimes in tribal areas of Pakistan, where Sharia’h is in force, to support his assertion. In order to garner majority in the National Assembly, he had to take support of dreaded Sunni militant outfits at the behest of the military. This will provide the radicals and extremists the power to reshape Pakistan’s political landscape. A new but dangerous trend in the political landscape of a country that is struggling to become a democracy. He certainly will be obliged to the military and militants who would prefer a radicalised theocratic Pakistan than a democratic Pakistan. Khan has no administrative experience. As MNA, he hardly ever attended the National Assembly. He is known more for his rhetoric and ability to organise protests rather than administrative capabilities. He is more of a demagogue. He will be ruled and guided by the powerful troika of military-mullah-militants. He is talking of taking two steps forward even if India takes one. Will the troika allow him to take even a half step towards India is a million dollar question. The pity is that many pro-Pakistan apologists in our country are still hoping for better India-Pakistan relations. They are proposing a dialogue with Pakistan. This for me is mere votebank politics to address their core constituencies and furtherance of their appeasement policy rather than a serious discourse in national interest. The recent infiltration attempts and spurt in terrorist activities as well as the deep state’s open support to the pro-Khalistan movement through helping the US-based Sikh separatist group ‘Sikh for Justice’ in organising Referendum 2020 in london should act as a grim reminder of Pakistan’s intent to these pro-Pakistan apologists. Pakistan’s Inter-Services Intelligence (ISI) is actively using the services of dreaded global terrorist Hafiz Saeed as part of ‘Operation Express’ to once again set Punjab on fire by kindling the Khalistan movement. Social media and sleeper cells are being used extensively to provoke the youth of Punjab. Certain videos have been released with a view to create dissension among Sikh soldiers of Indian Army by asking them not to fight for India. A hyped gathering of Sikhs from almost 20 countries world-wide, organised by ISI through its proxy SFJ at london’s Trafalgar square on August 12, to raise the demand for Khalistan and set the stage for Referendum 2020, however, was a failure. ISI is also planning to spread the tentacle of jihadi terror to the eastern and North-Eastern States of India and Myanmar, using Bangladesh as the base and launch pad. According to inputs from the National Investigation Agency (NIA), Bangladesh-based terror groups, like the Jamat-ul Mujahidin Bangladesh (JMB) and Ansarul Bangla Team (ABT), are planning recruitments in eastern parts of India, setting up hideouts and procuring weapons for terrorist activities. These groups are also making efforts to coordinate with radical Islamic groups within India to garner support and widen their network. The Rohingya refugees in Bangladesh are also being recruited by the ISI for terrorist activities. Bengal and Assam are being used as testing ground since a lot of local youth in these States have already been radicalised. It is a pincer attack on India as part of the grand design of global jihad, notorious prophecy of Ghazwa-e-Hind, with Pakistan’s ISI as the main coordinator. 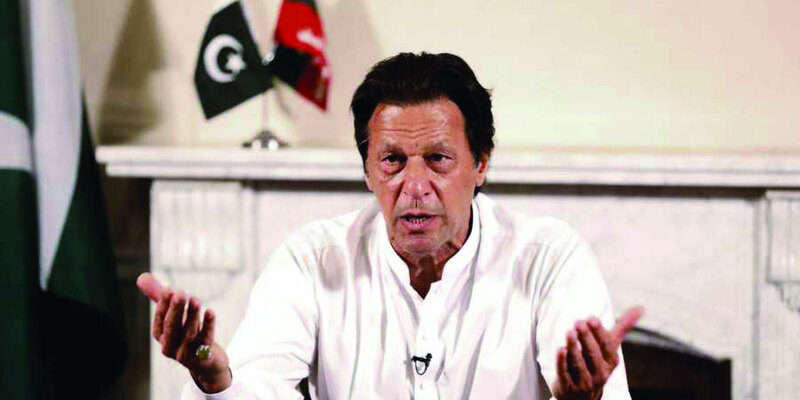 As far as Kashmir is concerned, Imran Khan made his intent amply clear when he termed Kashmir as the core issue and blamed the Indian Army for human right excesses in Kashmir. He did not consider it appropriate to mention other outstanding disputes between the two nations. Obviously, the script of his victory speech had either been prepared or approved by the troika. The Pakistan Tehreek-e-Insaf (PTI) spokesman acknowledged the Army’s role when he said that there was nothing wrong with the Pakistan Army “advising” the Government on foreign policy issues. It would be a miracle if Imran Khan went even a few inches beyond cosmetic “posturing” as far as Kashmir is concerned. This statement is a tacit approval of the fact that Pakistan cannot revive its economy without mutual trade with India. Its over-dependence on China is already showing the disastrous effect it is going to have on its sovereignty. India should accept any initiative from Imran Khan’s Pakistan for better trade relations. Better trade relations with India would also help in indirectly softening the Army’s stance since a lot is at stake for the Army and its Generals as far as Pakistan’s failing economy is concerned.